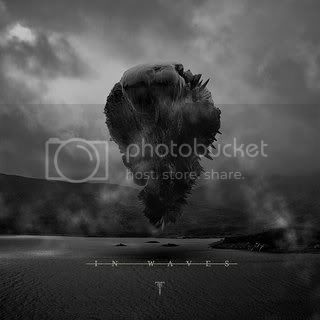 Florida metallers TRIVIUM shifted 22,000 copies of their new album, In Waves, in the US in it's first week out, landing the album at #13 on Billboard's Top 200 chart. In Waves also debuted in Canada, charting at #29 on the Top 200 Current chart. The album also charted in Japan at #6; in Germany at #8; in Australia at #9; and in the UK at #17, illustrating the global reception of In Waves. In Waves was released on August 8th in Europe, and the 9th in North America via Roadrunner Records. A two-disc special edition is also available, featuring five bonus tracks, plus a DVD with a 40-minute, behind-the-scenes documentary, as well as an exclusive concert filmed in a warehouse located in Orlando, Florida, which is the band's stomping grounds. This concert features the first performances of tracks from In Waves, along with Trivium classics. Away-Team: Did you complete Full Sail or just blow it off for the riches and fame of Trivium? Away-Team: The band came out after Shogun, and said that it was what it was, that you couldn’t describe what/or who it sounded like. It was Trivium and it stood on its own. Were you guys really that concerned about the comparisons to Metallica or other bands then? Isn’t there some sense of flattery of being compared to one of the biggest metal bands in the world?